Joseph Burns is an adult living with pediatric heart disease. He was born prematurely with a bicuspid aortic valve—a condition in which the main artery that leads from the heart to the body has two cups instead of three. “The only thing keeping me stable as a child was a catheter dilation as a toddler. 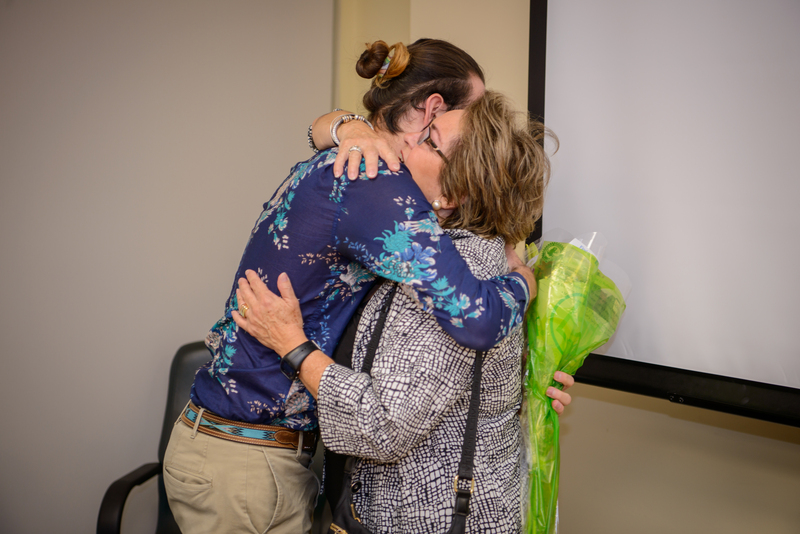 It was inevitable that I would one day have to undergo surgery to replace my malformation,” says Burns, a third-year medical student at Herbert Wertheim College of Medicine (HWCOM). Joseph Burns with Maruchi Mendez in the “Toti” Mendez Memorial Simulation Room at Herbert Wertheim College of Medicine. 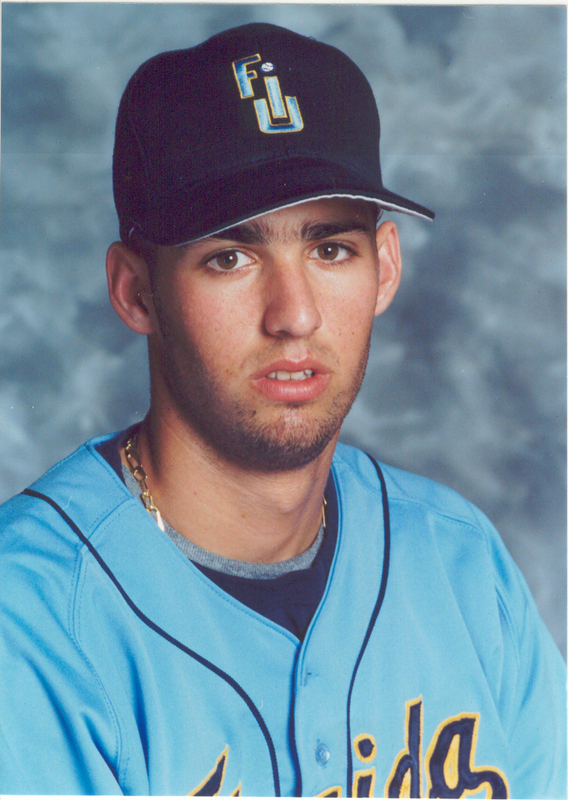 Ramiro “Toti” Mendez was an FIU baseball player who died at age 20 from congenital heart disease. 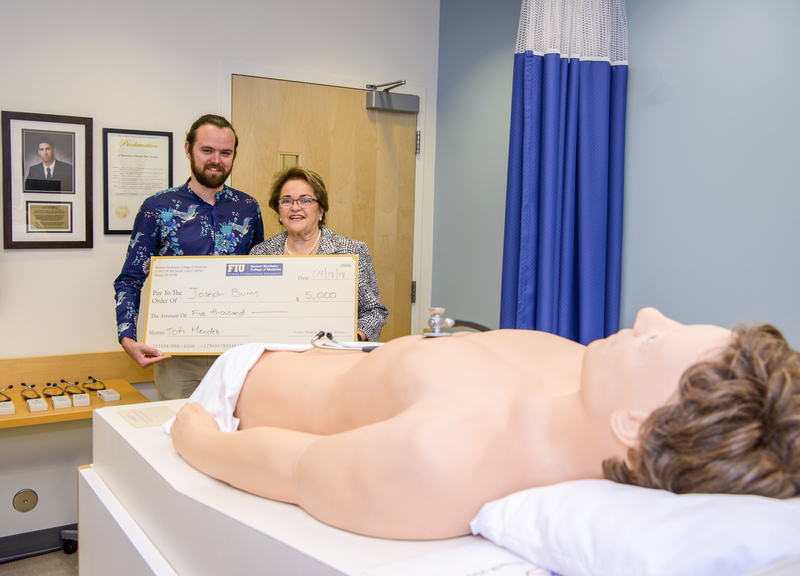 In 2015, the Mendez family dedicated a clinical simulation room where HWCOM students practice cardiac auscultation on a life-size mannequin known as Harvey, and, in 2017, established a memorial scholarship in Toti’s honor. Burns is the first recipient of the $5,000 scholarship. Toti Mendez in his Panther uniform. FIU retired his #23 jersey. “It was meant to be,” says Toti’s mom, Maruchi Mendez, after meeting Burns for the first time last week and learning about his battle with cardiovascular disease as well as his future plans in medicine; he hopes to become a cardiologist, specializing in treating adults with congenital heart problems. Burns recalls a childhood of constant doctor visits. He finally had to undergo surgery to correct the malformation the same week he accepted the invitation to join HWCOM’s Class of 2019. Until a few days ago, Joseph Burns and Maruchi Mendez were strangers. Now they are bound by her generosity and her son’s legacy.